The Ryzen CPUs have put AMD back on the map, so we are delighted offer this totally fanless PC based around their fantastic multi-core processors. We are proud to announce this totally fanless PC, the Nofan A850a with AMD's latest processors that offer up to a massive 40% performance improvements compared to previous AMD processors. The CPUs incorporates multiple cores and threads, which allow them to excel at multi-core processing events such as gaming, video editing, photo-processing, while simultaneously running other programs. It also boasts overclocking capabilities (but we do not recommend this for a fanless system) and support for dual-channel DDR4 memory. 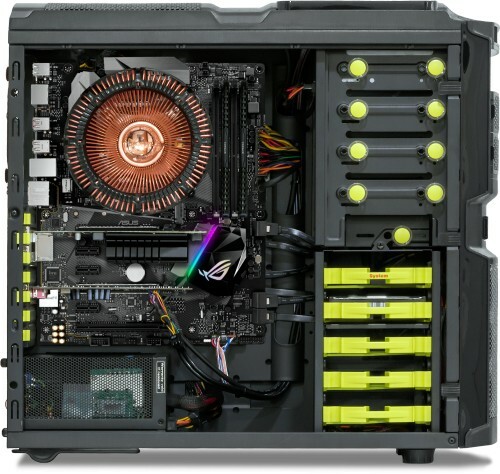 This system can be installed into the Nofan CS-80 or the Fractal Meshify. Both options offer excellent ventilation for a fanless system as they are inundated with ventilation holes to allow the heat to naturally dissipate. The Meshify is supplied with fans by default, but these are removed to keep the PC truly silent! One thing that annoys us as Quiet PC is all the marketing blurb about products being silent. No doubt you have heard some manufacturers claim their products are "silent" or even better "ultra-silent" when their products contain moving parts. There are no variations to the word "silent", it either is or isn't, it's that simple. If a product contains a moving part it will generate some noise and will not be silent. We have therefore configured this PC to allow you to purchase a totally silent computer. The CPU cooler, power supply and graphics cards are totally passive, meaning they will generate absolutely no noise as they have no moving parts. In fact the only way you will be able to make this PC generate noise would be to purchase it with a conventional hard disk drive and/or an optical drive, so please bear that in mind when configuring the system. If total silence is your aim, then opt for an SSD to contain your data rather than a HDD or SSHD, and only put a disk in the optical drive when needed. Some of the processors available with this system have integrated graphics, but there are some that don't. This can be a little awkward when configuring the system, as to whether a discrete graphics card is needed or not. To try an make things clearer, all processors that include built-in graphics have the following, "with Radeon Vega Graphics" in their product name. 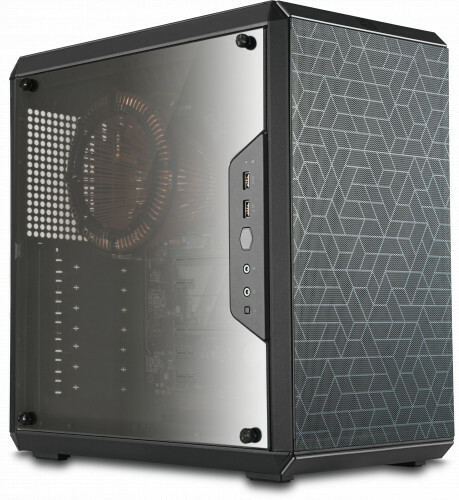 Meshify C Solid Mid Tower PC Case (fans removed) ? 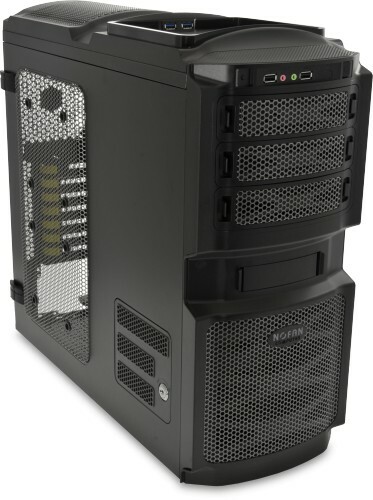 Nofan CS-80 Fanless ATX Computer Case ? Akasa ICY BOX IB-865 3.5 Bay Card Reader (requires LyCOM USB card) ? Nofan Twin SSD Quick-Release Drive Caddy - ST-2223SATA ?